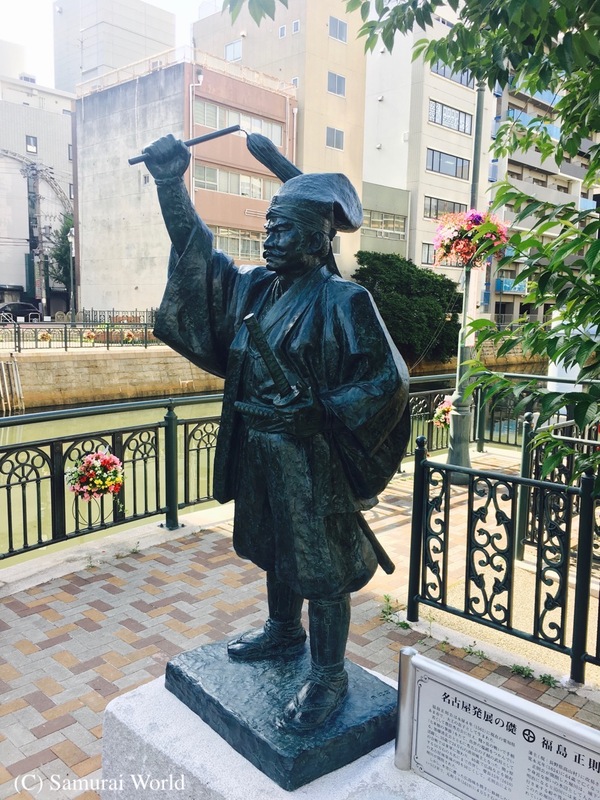 Chosokabe Motochika, daimyo of Tosa, was born to the 20thhead of the powerful Chosokabe clan, Chosokabe Kunichika in Tosa (Modern-day Kochi Prefecture) in 1539. 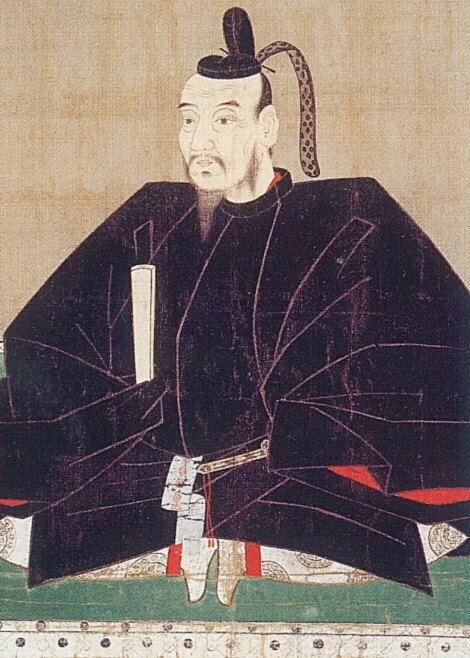 In 1560, shortly before his own death, Kunichika had subjugated much of Shokoku and the rival Motoyama clan who had killed his own father in 1508. Two years after succeeding Kunichika, Motochika again fought the Motoyama clan and with victory claimed the entire island of Shikoku. 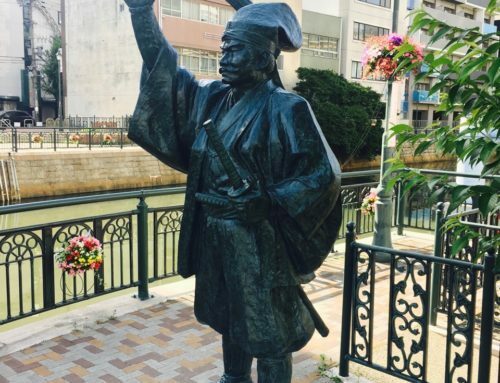 In 1569 he successfully fought the Battle of Yanagare, and six years later, defeated the Ichijo clan at the July 1575 Battle of Shimantogawa. 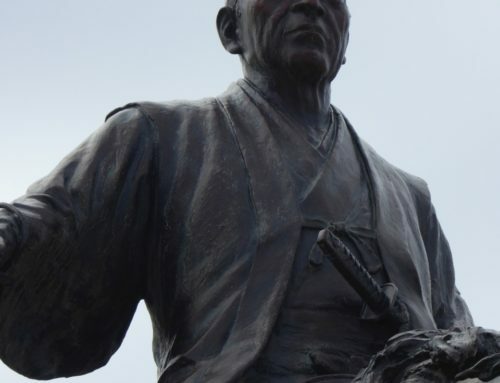 Akechi Mitsuhide and Chosokabe Motochika were very close friends. Around 2013, a number of letters were discovered by researchers at the Okayama Prefectural Art Museum between Akechi Mitsuhide and his long time friend, Chosokabe Motochika. All written around the same time, a few months before the May 21, 1582 attack on the Honno-ji, in which Akechi’s men attacked and killed Oda Nobunaga. The real reason remains a mystery, however these new discoveries shed new light, and another reason for the assassination. 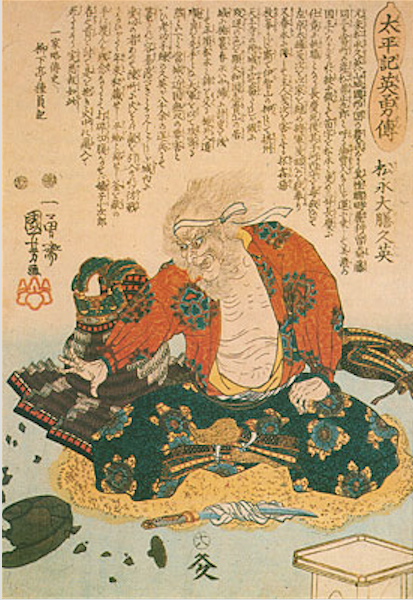 According to the letters, Chosokabe had decided against opposing Nobunaga, and was willing to submit to the Oda warlord. 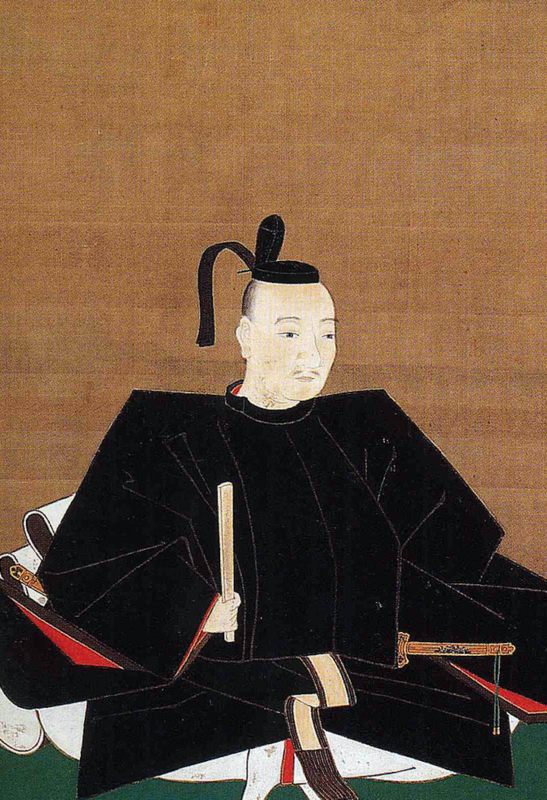 In reply, it appears Mitsuhide was attempting to avoid taking part in the subjugation of Shikoku, a mission he saw as likely to affect a future dispute involving Chosokabe. 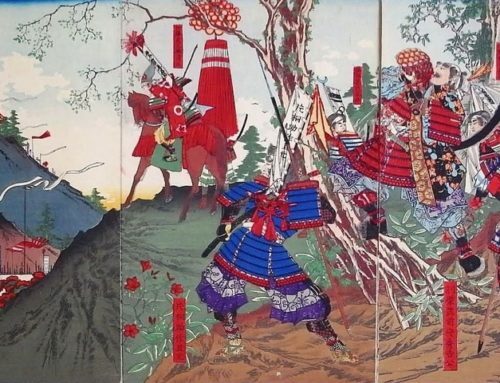 It appears that the Shikoku Offensive was considered ruinous for the Chosokabe, and in an effort to protect his friend’s interests, Akechi Mitsuhide found possibly another reason to attack his liege lord, Nobunaga. If this was the case, Akechi Mitsuhide’s actions gave Motochika only three years grace. 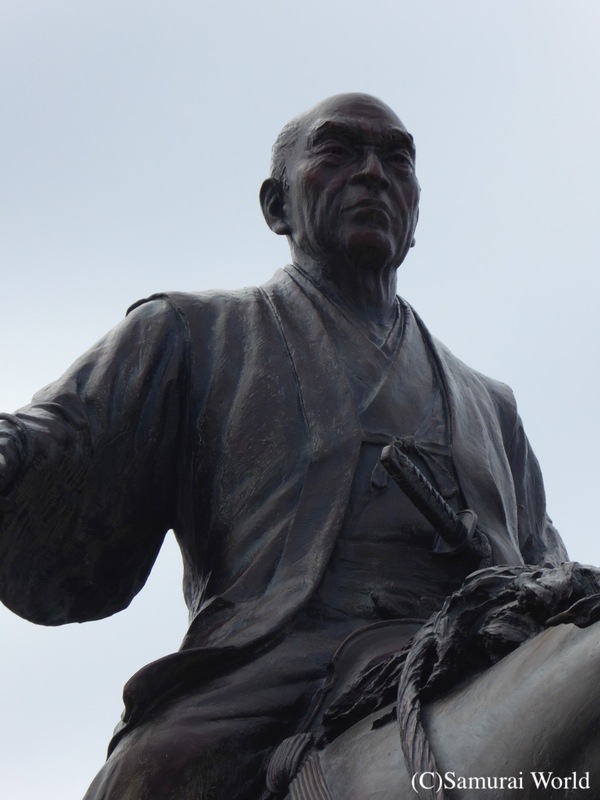 In 1585, Toyotomi Hideyoshi sent 100,000 samurai to invade Shikoku. 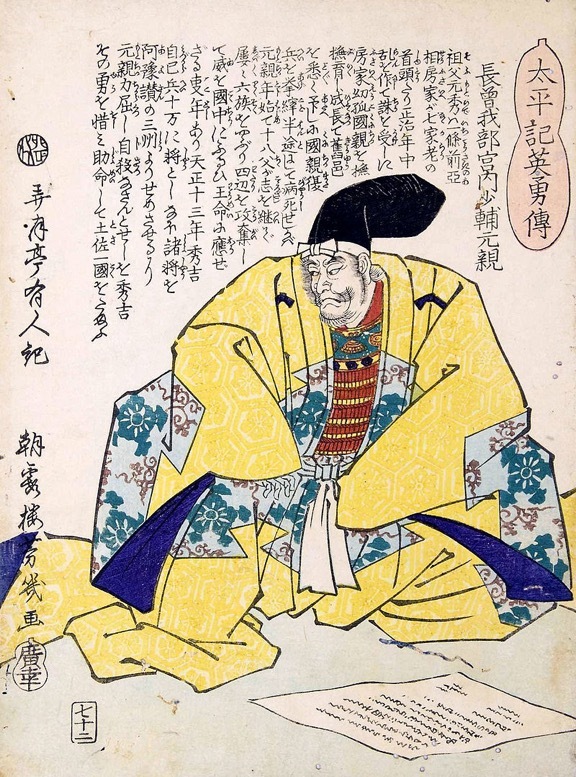 Recognising the authority of the Toyotomi, Chosokabe Motochika surrendered. 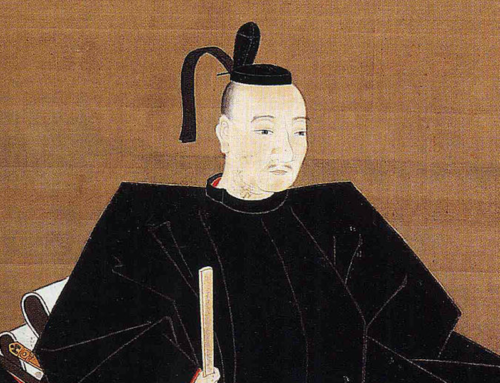 While Hideyoshi allowed him to retain Tosa, Motochika lost Awa, Sanuki and Iyo Provinces. 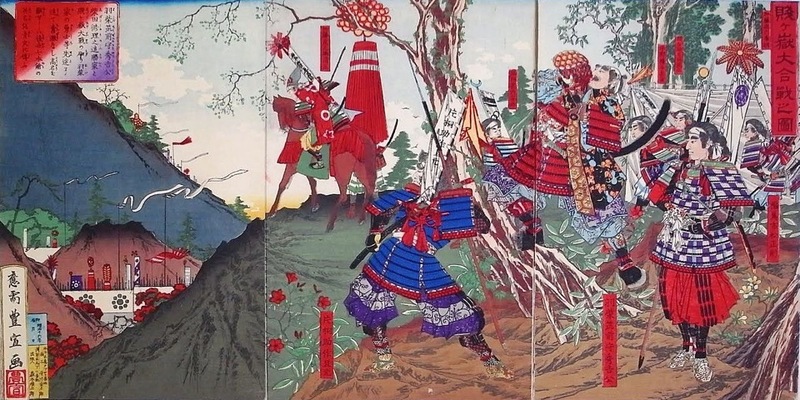 In serving Hideyoshi, Motochika took part in the 1587 Kyushu Campaign in which his son, Nobuchika was killed in action against the Shimazu clan. Motochika was involved in the naval blockade during the 1590 Siege of Odawara against the Hojo, and in Hideyoshi’s Korean Invasion of 1592. 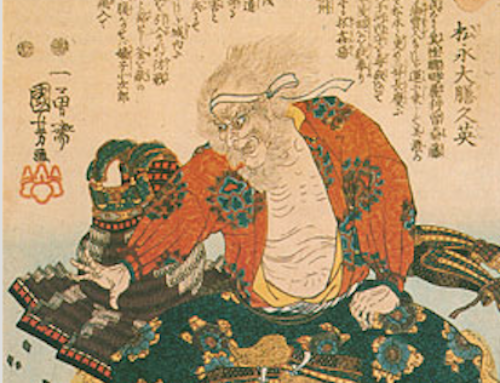 Motochika died aged 61 on July 11, 1599 in his villa at Fushimi, south of Kyoto. His fourth son, Chosokabe Morichika would succeed him.